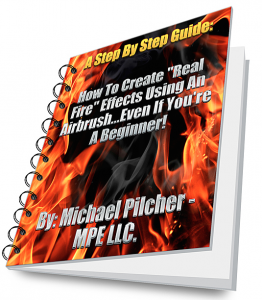 How To Airbrush Real Fire is something that many people are wanting to figure out how to do. I have put together a complete video library of How To Airbrush Real Fire and many other techniques as well. This complete video library can be accessed here or below this post. I am also putting this all together in the form of an eBook that you will see the eBook cover for below as well. Once I have this eBook finished it will be added to this website as well as sent to my subscribers of this website newsletter. The subscribers will have the first chance at this eBook and then it will be placed here on this website for others. 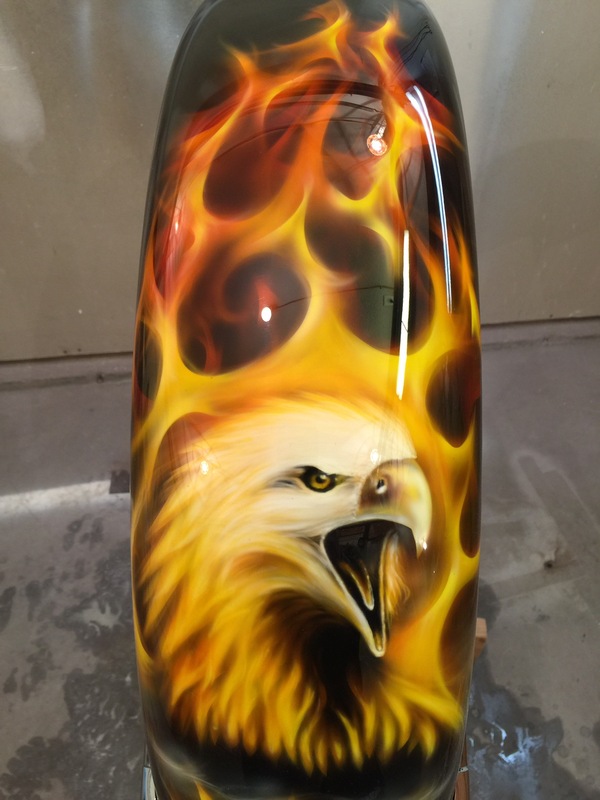 If you want to learn How To Airbrush Real Fire, then go ahead and subscribe to my newsletter now to learn more about upcoming airbrush (one on one) classes and much more, by entering your best email address to the form on the right side of this website under our picture. 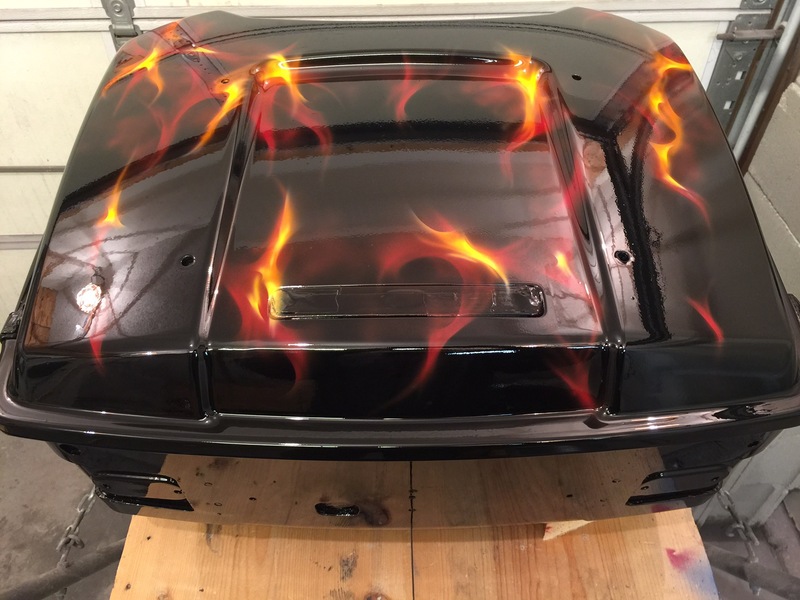 Learn “How To Airbrush Real Fire” and many other designs, like chrome, marbleizing, the stone look, bricks, other colors of real fire, traditional flames, and much more in “LIVE CLASSES” done here at Airbrushing In Kansas City. Get on this newsletter list now so that you can get all of the updates and freebies before everyone else does. Visit this website << for more information on the “how to” step by step. Tagged airbrush classes, airbrushing classes, how to airbrush, How To Airbrush Real Fire, learn to airbrush, live airbrush classes. Bookmark the permalink.